Devon residents are being urged to enter a festive online recycling collection quiz that could bag them a free family ticket to all 40 of the county’s top attractions. Quizmas can be found at Recycle Devon’s website and encourages people to answer several questions on recycling things like wrapping paper, Christmas trees and cards. By registering their details entrants are automatically entered into a prize draw which will put them in line to win a Golden Ticket. 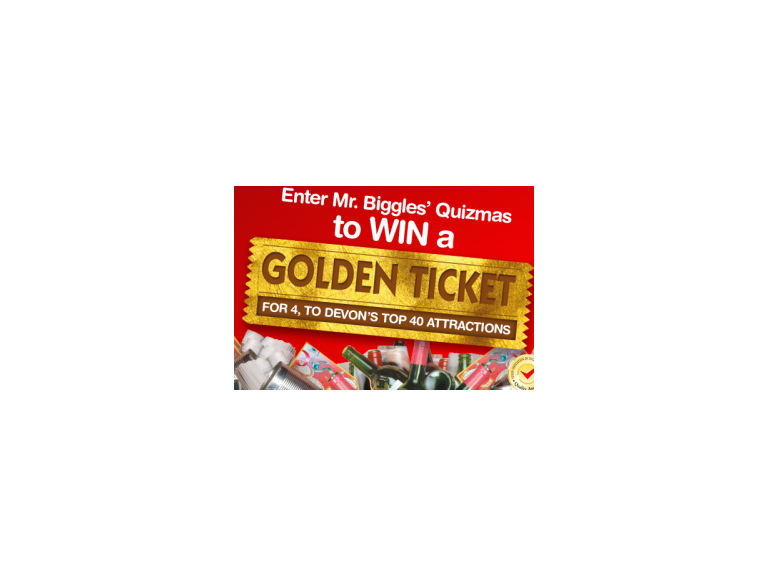 This ticket gives four people free admission to 40 days of fun, worth over £2,000, courtesy of the Devon Association of Tourist Attractions. The draw is an inventive way to encourage residents in the county’s eight districts and Torbay to make use of the Recycle Devon website. The website not only gives detailed information on what people can put in their recycling bins it gives handy tips on what to do with unwanted presents, waste food, wrapping paper and cards. Anne Blackham, from Devon’s Top Attractions said: “We are very pleased to be supporting the Recycle Devon Christmas Campaign this year and helping to encourage Devon to reuse and recycle over the festive period.